We have some exciting news… we are popping up in Peckham! On the 25th May until the 17th June Lowie will be a fully fledged Peckham resident. Taking over the old Bias shop in Bellenden Road, ourselves and our pal Kate from The Keep Boutique in Brixton will be teaming up to sell our ethical wears to the lovely people of Peckham. We will be selling brands such as Lowie, Miss Pompom, Kings of Indigo, Indi & Cold, Thinking Mu, People Tree, Designers Society, Wedgie, Nathalie Bond, Form, Sunny Life, Yull, Matt & Nat and more! This corner Thai restaurant is a little gem. 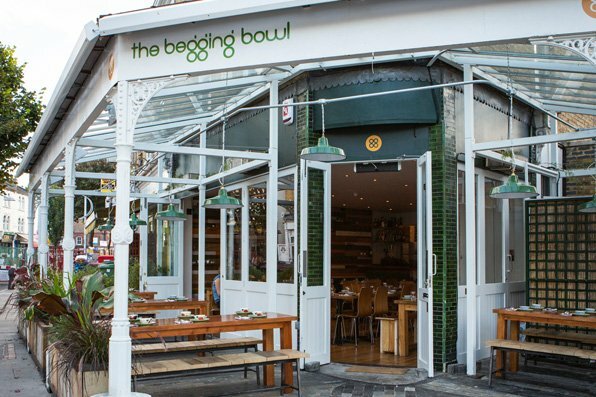 Right on the corner down Bellenden road The Begging Bowl is a pretty looking establishment with its white pillars and plants galore it looks like a tropical greenhouse. Small Thai plates mean you can choose a variety of dishes and flavours. Bronwyn and Kate’s favourites are the Cauliflower and peanut curry, Pomelo Salad and Deep Fried Tofu. The Begging Bowl is popular so be prepared to wait at busy times- the Victoria Inn directly opposite is the perfect spot! Nestled round the corner a few steps off Bellenden road is The Montpelier. This busy spot Is the favourite of a lot of Peckhamites’. Set in between Rye Lane and Bellenden road this pub has good outdoor space and DJ’s every Saturday night. In the back an eclectic range of film screenings are held every Thursday and the public can hire it out for free. Wander down Bellenden road and you will find the Kiln Rooms. 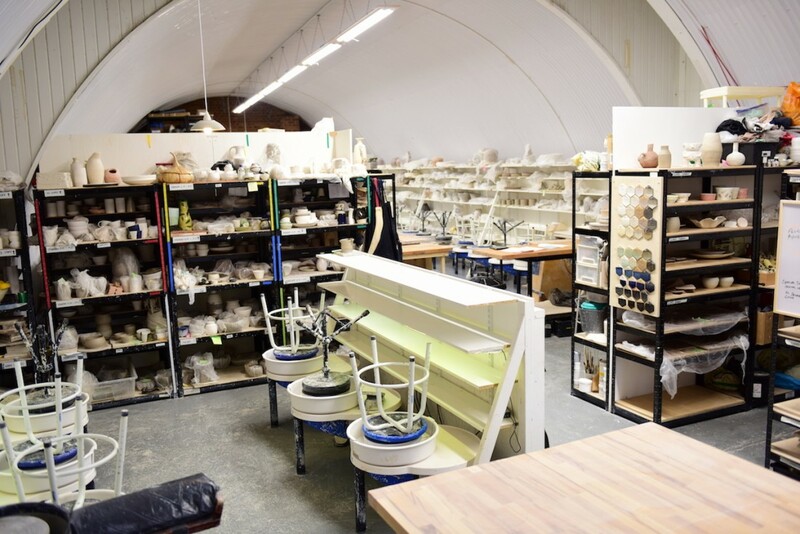 These open access ceramics studios offer classes, talks and have open studio’s. Situated under Bellenden Road arches The Kiln rooms will be open for their summer show from the 8th-10th of June (perfect timing). Showcasing over 90 up and coming artists and designers working with ceramics, you can purchase some beautiful and unique vases, plates, bowls and homewares straight from the makers. Well you can’t write a ‘things to do in Peckham’ blog and not tell people to go to the multi story car park/ rooftop bar Franks. You can’t deny it’s a cool spot although people think its gone down a few pegs in the cool stakes since Time Out features it regularly. This is a good thing though as now the regular un trendy folks are not outnumbered and given a look of ‘how on earth did you find us here?’. On top of the car park you have a brilliant view of South London which is not to be missed if you are in the area. As you can imagine on hot days’ seats are gold dust and buying drinks in bulk is a good idea! 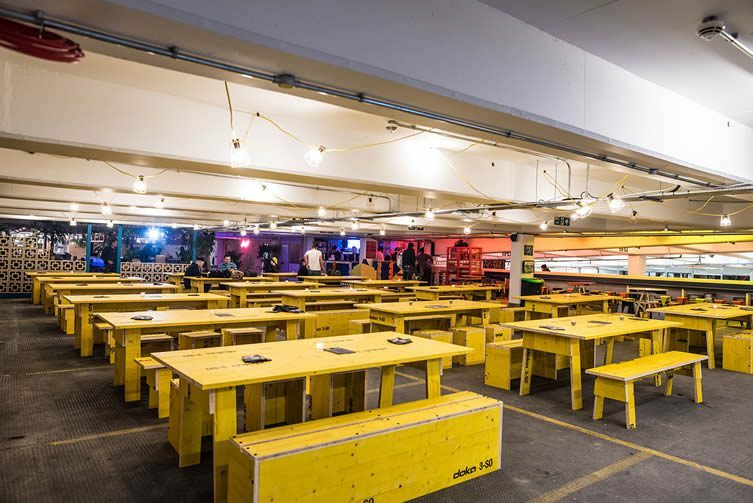 Underneath Franks, a transformation has been happening to make some good creative use of the vast and unused car park space which up until now was essentially just known as ‘the way up to Franks’. 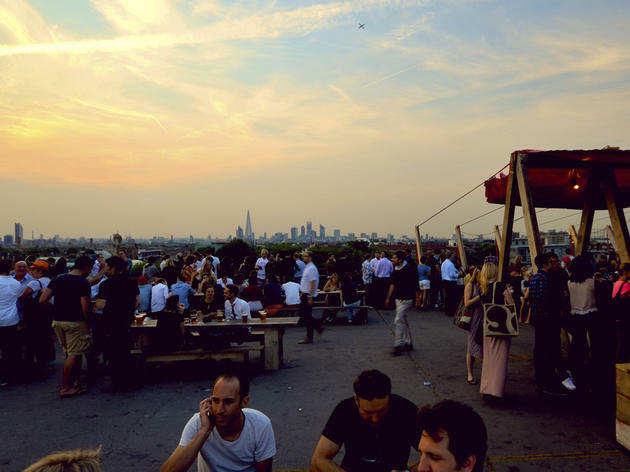 Peckham Levels is a creative hub housing independent business, artist studio’s, a music venue, yoga studio, kids play area, and of course some brilliant street food and bars. There’s plenty to do and see and it’s a really exciting space which will continue to develop and expand with the involvement of the community. So go and see some live jazz at Ghost Notes, try screen printing at 3rd Rail Print space or grab some vegetarian or vegan food at Wildflower.